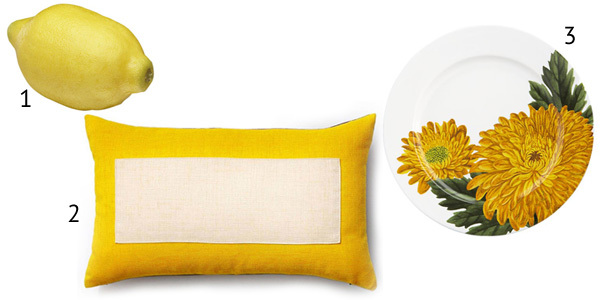 Nothing says “happy” like a bright pop of yellow, so give your home decor an extra lift with these yellow accent pieces that are sure to make you smile. Using yellow as an accent colour can seem a little scary at first. It’s so bright and so bold that it can take over a space if you’re not careful. Luckily, there’s no shame in starting small! 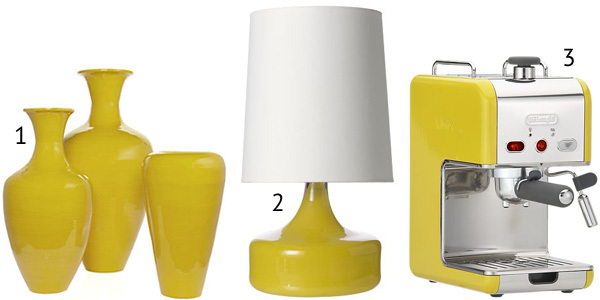 Play with different shades of yellow by using small accent pieces to see which colours you like the most. Use throw pillows on your sofa and chairs, dress up a shelf with a decorative plate, or fill a large, clear vase with a dozen lemons. When you’re playing with colour to see if you like it, don’t go out and invest a lot of money. Hit the thrift shops to look for inexpensive frames or knick knacks, then spray-paint them the colour you want to test. Don’t like the way it looks? Just repaint! Keep on trying until you find the perfect shade of yellow. Once you’ve hit the nail on the head, you can match the colour with other small accent pieces. Who says accent pieces need to be small? If you love your yellow decor, don’t stop at picture frames and pillows. 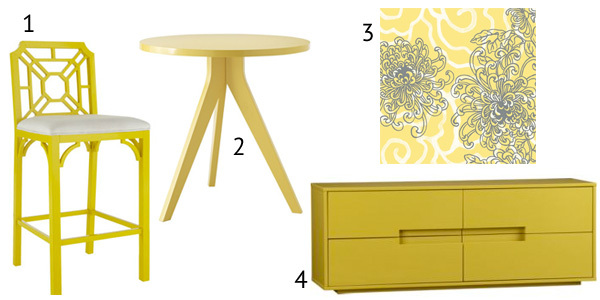 Paint an accent wall a bright shade of yellow, or pick up a piece of retro furniture in a fun, sunny hue. If you’re worried about overwhelming your home with bright golden tones, opt for a muted or pastel shade instead. And remember, when you choose big accent pieces, you want them to stand alone. Keep the rest of your color palette clean and simple. Don’t be afraid to put your accent pieces to work! When you love a colour and want to incorporate it throughout your home, seek out lamps, vases and even small appliances in the hue of your choice. It may take some time and effort to find the perfect functional accent piece, but the Internet can certainly help your search. Whether you’re looking for a yellow slow cooker, yellow coffee maker or a few fun yellow cooking tools, you’re bound to find something that hits the spot.